In Washington, drivers involved in an accident resulting in injury must stop at the scene and remain there to give their name, address, insurance information and vehicle license number to the other driver, passengers or anyone who was struck or injured. Pursuant to RCW 46.52.020, drivers must also show their driver’s license. They must provide assistance to anyone injured, including getting them to medical treatment. What happens, though, if a driver is shaken up and fails to provide all of the required information? A Washington appeals court recently considered whether a case could proceed when the plaintiff originally filed suit against the wrong party after not receiving all of the other driver’s identifying information. The plaintiff was rear-ended. She stated the other driver was very upset after the collision and insisted they not call the police or an ambulance. The plaintiff stated that they exchanged insurance cards and wrote down each other’s information. She stated the other driver did not offer her a driver’s license or state her name. She believed the other driver’s name was the name on the insurance card. In fact, the person named on the card was the other driver’s mother. The plaintiff filed suit against the person named on the insurance card on the last day before the statute of limitations expired. The defendant answered, stating the plaintiff had sued the wrong defendant. The plaintiff amended the complaint to add the driver as a defendant more than two months after the statute of limitations expired. 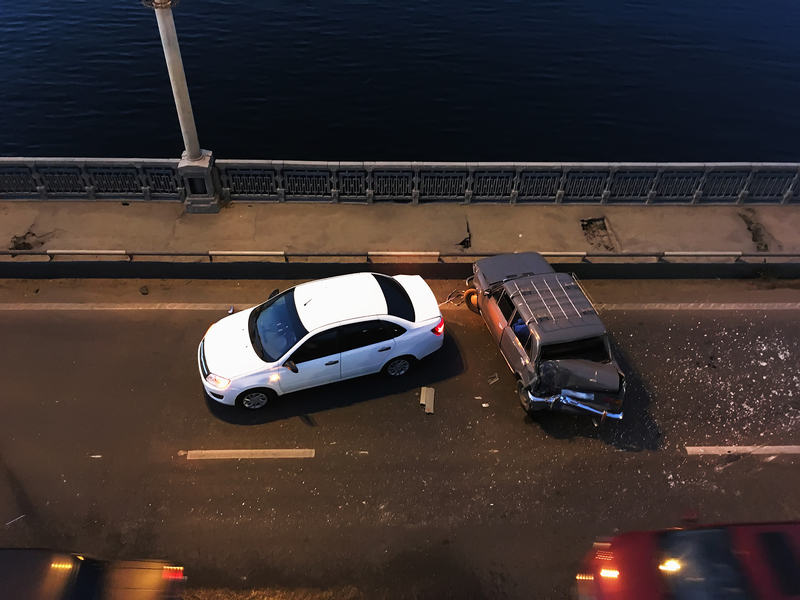 When Washington car accident victims apply for no-fault benefits from their own insurer, they may not consider that the information contained in the application could affect their claim against the at-fault driver. In a recent case, however, the information in the application played a significant role at trial. This case involved an eight-year-old boy who was struck by a van. The defendant stopped and got out of her van when she heard a noise and felt the van jump. An eight-year-old boy was lying on the ground near a pickup truck. The van had run over one of his legs. Injuries can result from even minor automobile accidents. 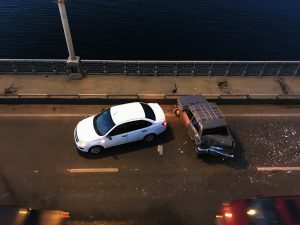 Washington car accident attorneys know that defendants are likely to challenge causation in such cases, and they may even challenge whether a collision even occurred. Documentation of the accident and the injury is extremely important, as a recent Washington appeal case shows. The plaintiff sued the defendant, alleging he was injured in an automobile accident. According to the plaintiff, the defendant’s vehicle crossed the center line, and the mirror of the defendant’s car struck the mirror of the plaintiff’s car. The defendant moved for summary judgment, arguing there was no evidence the “alleged accident” caused the plaintiff’s injuries. She admitted her vehicle crossed the yellow line and “passed closely by” the plaintiff’s car, but she denied hitting the plaintiff’s mirror. She submitted a repair estimate from her insurer, stating there was “no damage” to her vehicle and including photographs taken by the insurance investigator. Washington automobile insurers must offer personal injury protection coverage (PIP). PIP benefits may cover medical expenses, lost wages, funeral expenses, and loss of services. Washington car accident attorneys know that it is not always clear whether an incident resulting in injuries gives rise to a PIP claim. In a recent case, a Washington appeals court determined whether an insured person could receive PIP benefits for injuries he suffered when he fell out of a parked vehicle. The plaintiff felt nauseated while he was driving with his son. He turned onto a side street and pulled over. He put the vehicle in park but left it running. He unbuckled his seatbelt and leaned out the window to be sick. As he was leaning out the window, he passed out and fell forward. He received significant injuries when he struck his head on the pavement. His head and upper body had fallen outside the vehicle, but his legs and feet were near the pedals. He bled profusely. His son then drove him to the hospital. The plaintiff’s medical bills exceeded $10,000. He filed a PIP claim with his automobile insurer. 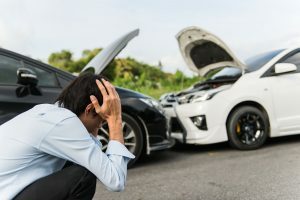 The policy states that it will provide the specified benefits “for bodily injury to each Insured person caused by a motor vehicle accident.” The insurer denied coverage, determining that there was no motor vehicle accident to trigger coverage. The insurer argued that a motor vehicle accident can only occur when the vehicle is being operated as a motor vehicle, and that is not the case when the vehicle is parked. The plaintiff’s injuries occurred when he fell from his parked vehicle, so the insurer determined that they were not a result of a motor vehicle accident. The fact-finder in a Washington personal injury case must allocate fault among each of the entities that were at fault for the plaintiff’s injuries, including entities with immunity, except those immune under the workers’ compensation act. Washington law recognizes the doctrine of parental immunity for claims of negligent supervision. The Washington Supreme Court recently reviewed a case addressing whether a child’s compensation from the driver who struck him could be reduced due to his father’s negligent supervision of him. In this case, the father’s girlfriend at the time struck his two-year-old child with her vehicle in the driveway of the father’s home. A lawsuit was filed on behalf of the injured child against the father’s girlfriend. She asserted an affirmative defense that the child’s father was fully or partially responsible for the child’s injuries, based on negligent supervision. The plaintiff moved for summary judgment, arguing the law did not allow apportionment of fault to the father on these grounds. The court denied summary judgment, and the plaintiff amended the complaint to add the father as a defendant. The amended complaint stated that the other defendant contended the father was concurrently negligent or engaged in willful misconduct that proximately caused the injuries. The father did not make an appearance as a party, and the court entered a default order against him. The jury was instructed to consider whether the plaintiff had met the burden of proving the girlfriend was negligent and had proximately caused the injuries, and whether the defendant had met her burden of proving her affirmative defense that the father was also negligent. The jury found both the girlfriend and the father were negligent and proximately caused the injuries. The jury attributed 50% of the damages to each of them. The court rejected the plaintiff’s request for a joint and several judgment entered against both the father and the girlfriend for the entire amount of damages and entered only a judgment against the girlfriend for 50% of the damages. The Court of Appeals affirmed the trial court, and the Supreme Court of Washington granted review. Negligent infliction of emotional distress is a cause of action available when a family member is at the scene of their loved one’s accident at the time of the accident or shortly thereafter and witnesses their injuries at the scene before there is a material change in the circumstances. In March, Division Three of the Washington Court of Appeals found that a woman could recover damages on a negligent infliction of emotional distress claim, despite knowing about the accident prior to arriving on the scene. Recently, Division One reviewed a case in which a mother knew her son had been killed in the accident before she arrived on the scene. The plaintiff’s 17-year-old son died from mechanical asphyxiation as a passenger in an automobile accident. The plaintiff lived near the scene of the accident. One of her son’s friends stopped by her home and told her to call her son because there had been an accident. The plaintiff testified that she received no answer when she tried to call. The driver’s father subsequently came to the plaintiff’s house and informed her there had been an accident, and her son had not survived. The plaintiff and her husband then drove to the accident scene. They arrived at the scene about 20 minutes after the accident. The area was surrounded by emergency vehicles, and the scene was blocked off. The plaintiff’s son was lying on the side of the road, covered by a sheet.